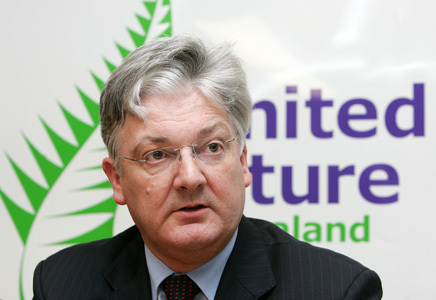 Peter Dunne’s address to the United Future 2011 conference on 21st August includes support for a better marine recreational fishing future…. Tramping, hunting, fishing are part of the Kiwi birthright – a further example of the outdoors lifestyle that makes our country the envy of the world – and why so many people seek to come home to give their families and children the opportunity we too often take for granted. Of course, we have to conserve our precious natural environment for future generations to enjoy – that will come through judicious and proper management of our physical and natural resources – not through locking them away so they can only be viewed from afar, or worse, commercially exploiting them now to the point of virtual extinction. The Game Animal Council – which was agreed under our confidence and supply agreement with National and which we are now working through the detail on – and opposition to 1080 are part of a comprehensive resource management approach. This is all about recognising the need for the highest standards of environmental protection on the one hand, and the capacity and abilities of New Zealanders to take a responsible, natural self-management approach on the other. It is time to extend that approach from the land to the seas around us – we will push for an integrated approach to recreational marine fishing to ensure that the million plus Kiwis who like to fish can continue to do so, and have their voice heard clearly, and without having to play second fiddle to commercial interests. The image of a family fishing together is a potent metaphor for all that is good in our country.